10 Foods for Eye Health | Eat This! Here are ten foods that will help maintain eye health and that may protect against cataracts, macular degeneration, and other eye problems. Avocados are one the most nutrient-dense foods that exist, so it’s no wonder they’re great for your eyes. They contain more lutein than any other fruit. Lutein is important in the prevention of macular degeneration and cataracts. 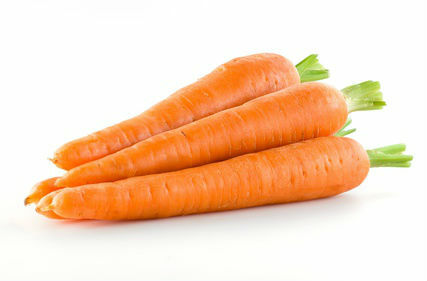 They are also a great source of other important eye nutrients such as vitamin A, vitamin C, vitamin B6, and vitamin E.
Carrots have long been recognized as an eye food due to their high levels of vitamin A. Broccoli is a good source of vitamin C, calcium, lutein, zeaxanthin, and sulforaphane. Another great source of vitamin A, spinach also contains other important eye nutrients including lutein and zeaxathin. Like spinach, kale is a good source of vitamin A, lutein, and zeaxathin. Tomatoes are high in vitamin C and lycopene, two important eye nutrients. Sunflower seeds contain selenium, a nutrient that may prevent cataracts and promote overall eye health. Garlic contains selenium and other eye nutrients such as vitamin C and quercetin. Salmon is rich in omega-3 fatty acids, which are important for maintaining overall eye health. It also contains folic acid, vitamin D, vitamin B6, vitamin B12, and vitamin A.